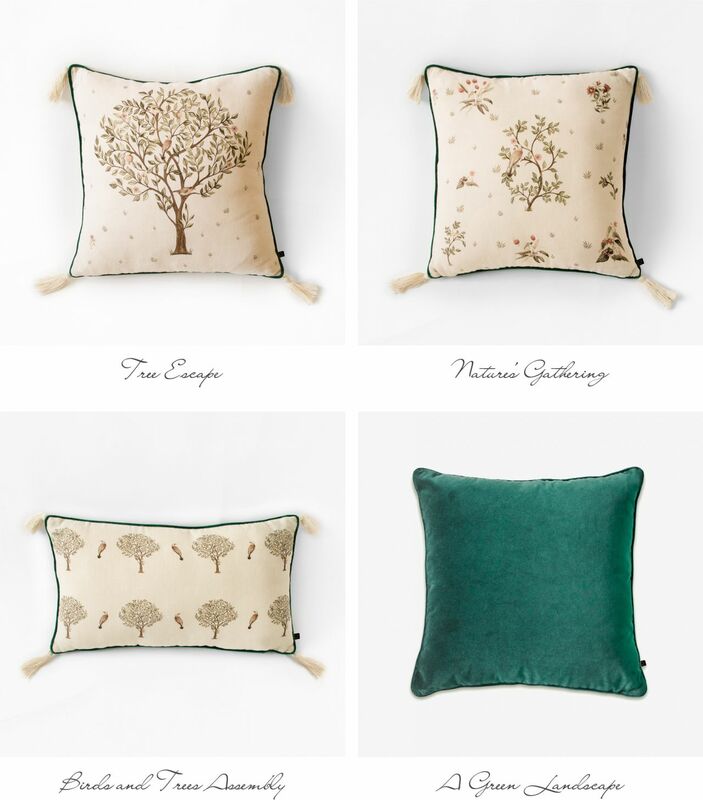 Get Warmth in these Chilly Winters with our New Cushions Collection! 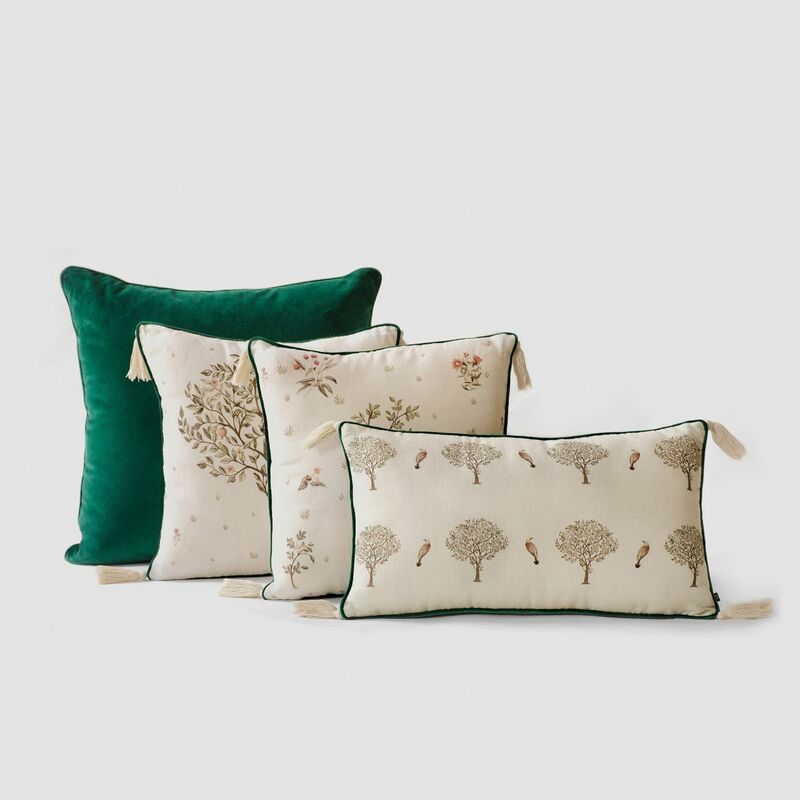 The delightful visuals wafting through the summer garden – the chirping birds resting in the shade, the gently swaying leaves in hues of green, a beautiful concord weaved by endless trees is brought alive and enhanced in our new cushions collection! 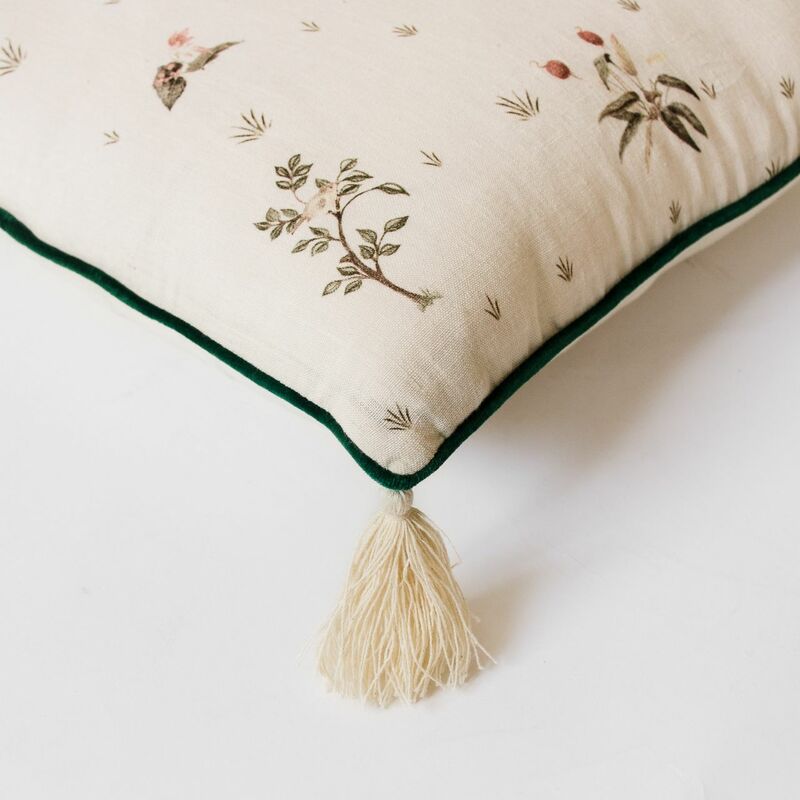 Extending the unique niche created by our Summer Garden print we bring you our new cushion designs with attractive tassel detailing. 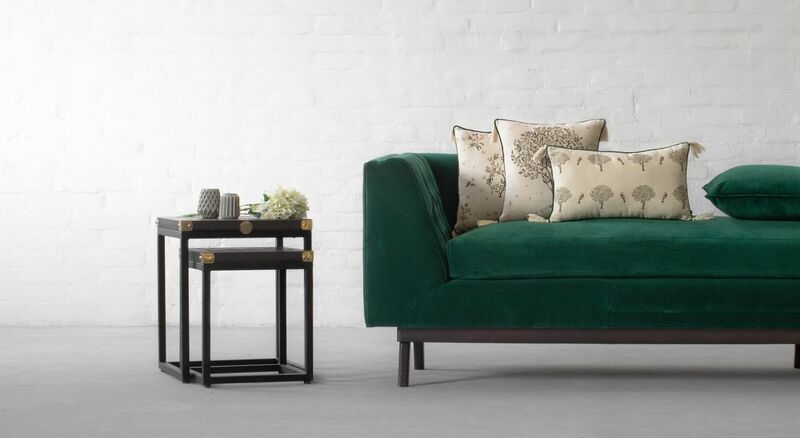 With contrasting piping detailing, these cushions will be the perfect accent additions while adding a pop of colour to your interiors. Bid goodbye to 2017 in the most light-hearted and cheerful way with this new collection!